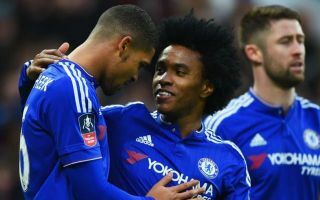 Chelsea could reportedly come under pressure to make a late decision on whether or not to keep Ruben Loftus-Cheek at Stamford Bridge this season. The 22-year-old enjoyed an impressive loan stint at Crystal Palace last year while making a positive impression for England at the World Cup. In order to build on that and to continue to improve, he’ll be desperate for regular playing time this season, but that’s not something that looks likely at Chelsea. After a cameo appearance against Huddersfield in the opening-day win, Loftus-Cheek wasn’t in the squad against Arsenal this past weekend, and so that naturally raises doubts over his importance to Maurizio Sarri. According to The Sun, that has led to ‘showdown talks’ being touted before the transfer window closes around Europe, and in truth, it may well be a sensible decision from the England international to consider a temporary move elsewhere to get consistent playing time. With Jorginho and Mateo Kovacic coming in this summer with the pair specifically suiting the style of play that Sarri likes to adopt, it’s evident that they will play prominent roles for the Italian tactician. Further, N’Golo Kante has proven to be a fundamental figure for Chelsea for the past two years, and add the likes of Ross Barkley and Cesc Fabregas to the mix, with the former seemingly impressing Sarri, it doesn’t paint a particularly positive picture for Loftus-Cheek. With that in mind, it remains to be seen how touted talks go between the two parties, as clubs around large parts of Europe are still able to do business until August 31. In turn, Loftus-Cheek still has a chance to go out on loan and play regularly rather than risk sitting on the sidelines at Chelsea for most of the campaign which could undo the momentum he’s built up in recent months.